I made kanelbullar (cinnemon rolls) and a marzipan version as well. Here´s the recepy I used. It is in German but google translator will sure help. I made a marzipan-version because John is not too crazy about cinnemon, but crazy about marzipan. 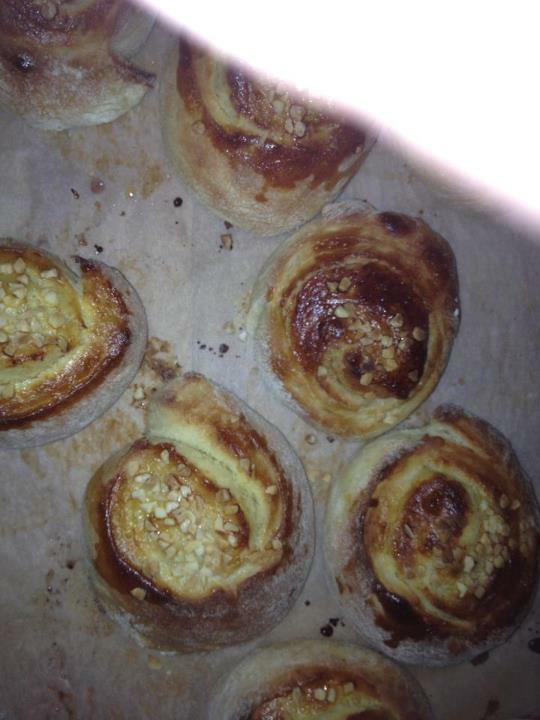 So after I made mostly cinnemon rolls I thought "Oh what the heck, let´s try something new". I mixed about 25 gramm of melted butter with about 30 gramm of marzipan till it got creamy, put it on the dough, rolled it and put almond pieces on top. Turned out really nice and NOT TOO SWEET. Yay! The photo doesn´t look as nice cause I just took it quickly while they were cooling and than froze them all (not even I can eat over 30 of those AT ONCE). It was my first experiment with a yearst dough. 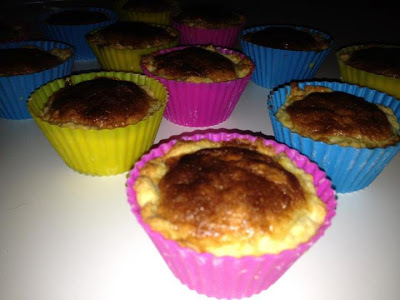 Today I made mazarins (marzipan cakes) because... well I had marzipan leftover :-) And because I love them and German IKEA is not selling them anymore. (buuuuuuuh!!!) Was too lazy to put on cute little marzipan figures like in the recepy, but if I do a Xmas version I decidedly will ;-) I replaced the Amaretto with Bittermandel and I found those fun sillicone cake forms at TK Maxx. They are cute and take less space than a normal muffin thingie. Now I must go and try my cakes :-) Yay! Ohh, das schaut so lecker aus!